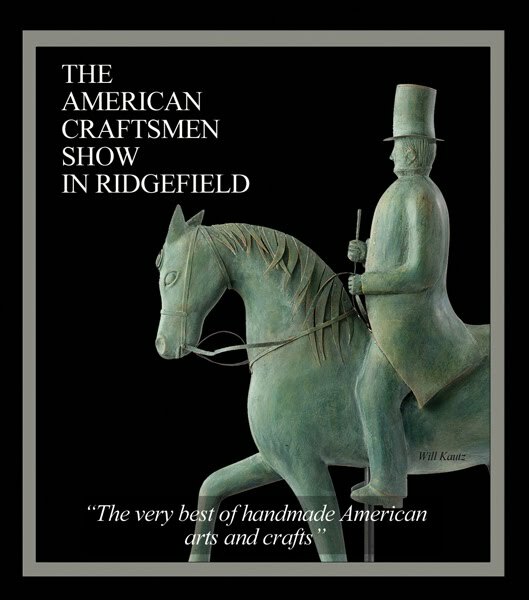 The American Craftsmen Show will be moving to the historic Keeler Tavern in historic Ridgefield, CT for its forth year of presenting the very best of traditional handmade American Arts and Crafts. About The American Craftsmen Show: The American Craftsmen Show is a once a year event that showcases award-winning and nationally known artists and craftsmen offering their work for sale. Many of these creations are inspired by the traditions, methods and styles of the early American craftsmen. Featured works include: pottery, wood carvings, painted furniture, textiles, holiday folk art and much more. for this years show in Ridgefield?